With over 20 years of performing, teaching, dancing, speaking and creating personal development programs, Bernard has developed a unique set of skills that has proven to be very valuable and effective. At a young age Bernard travelled the world to discover his own heritage. He had a passion to understand the strengths, wisdom and knowledge of his ancestors. He believes once knowledge is gained, it must be passed on, in a creative, fun and respectful way. Travelling through Polynesian cultures including Native American Indian, New Zealand Maori, Hawaiian and Samoan, Bernard discovers with each the idea of family, challenges and pride. Mana The Spirit of Polynesia embodies dance, music, multicultural themes, history, geography, the importance of learning about heritage and the power of self belief and respect. MANA is the inner strength and confidence that comes from a sense of identity. Bernard Mangakahia inspires everyone to discover their own MANA. If you students are studying “Whale Rider” Bernard can include a discussion on the film following his performance. Bernard also offers dance workshops. Bernard is very popular as an Artist in Residence, where he can come to your school for a few days or a week and work with the students towards a concert of amazing dances and songs. learnt from two very important members of his family. Students will be captivated by Bernard’s stories and dances that encourage them to be courageous and overcome challenges and adversity. KIA TOA demonstrates that success is achievable for everyone! 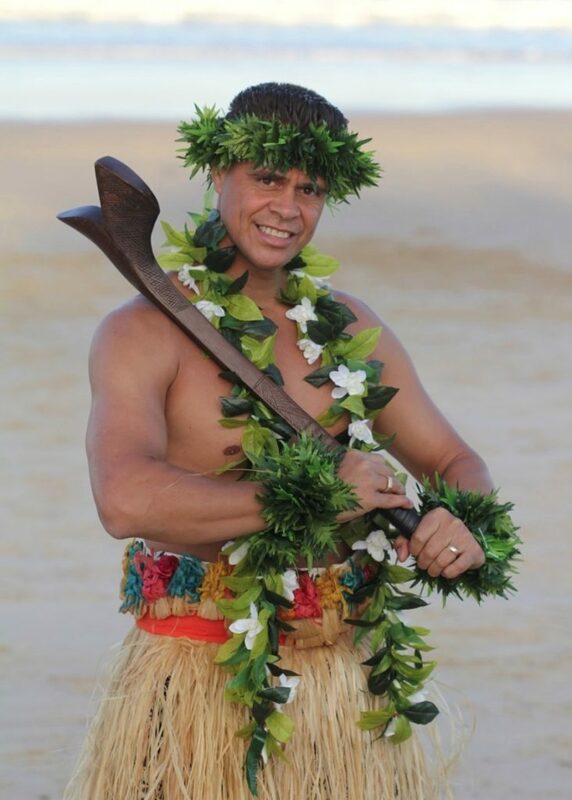 Each class/grade will be taught one or two dances from Hawaii, New Zealand Samoa, Fiji or American Indian. Students will perform their dance in front of an audience (either in front of students or parents or both) – this is decided by the school. Workshops will focus on the final performance; however, many more dances, songs and stories will be told, performed and taught for education and fun. The timetable and schedule is all dependent on the size of the school/ classes, and the number of days booked with Bernard. He will work with you to fit this into your schedule.